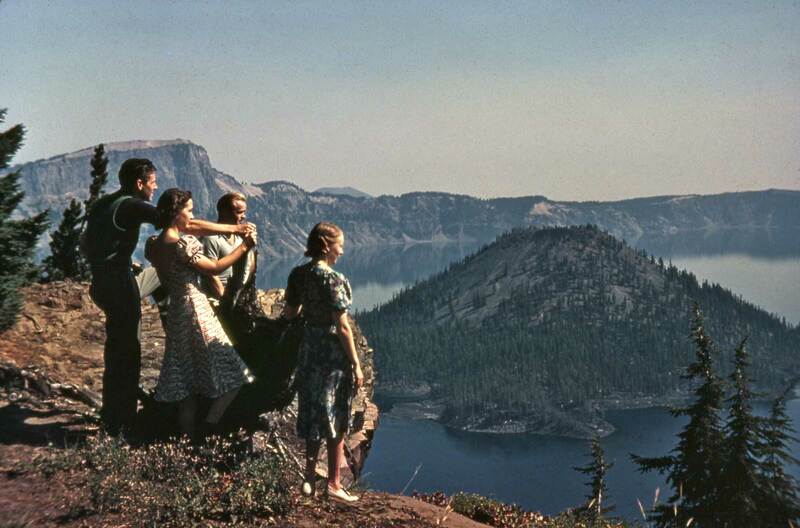 A scene at Crater Lake, Oregon. By Horace Sykes ca. 1946. Paul, I’m thinking it’s Ronald Reagan on the far left!